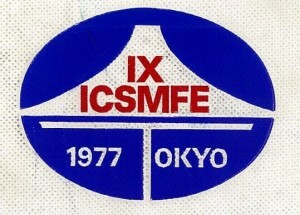 Cherry hall in the Imperial Hotel, Tokyo city center, was the venue of the 9th ICSMFE which was held on July 11-15 in 1977. President J. Kerisel addressed a message at the Opening Session followed by the four Special Lectures which were enthralling and memorable. Dr. M. Fujii mentioned the enormous efforts in the overall design for construction of the Shinkansen (High-speed railways) between Tokyo and Osaka. 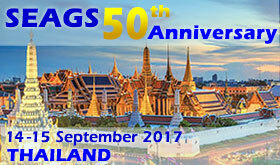 Developments in understanding the behaviour of cohesionless soils were overviewed by Professor T. Mogami mainly focusing on the efforts the Japanese researchers had been making since the 1964 Niigata Earthquake. Of particular interest was the lecture by A.W. Skempton who introduced several examples of delayed failure in cut slopes in London marine clay and attributed it to the time length required to attain equilibrium of pore water pressure along potential slip plane. The endearing lecture by R.B. Peck was entitled “Vignettes of four Past Presidents” in which personal profiles as well as technical achievements of four great predecessors, K. Terzaghi, A. Casagrande, A.W. Skempton and L. Bjerrum, were vividly described. These four lectures will remain in our memory as masterpieces. In the Council Meeting proceeding the Conference week, the rule for deciding the President was changed from the nomination by incumbent and past presidents to the election by secret voting by the representatives of all national member societies. In the first-time attempt for implementing this new scheme, there were six candidates on the list at the beginning. In each round of balloting, a candidate with the fewest number of ballots was successively deleted until a single majority was obtained. After reading out names loudly by the Secretary, Professor Victor de Mello and Professor Masami Fukuoka had secured the tie ballot 22 to 22 in the last round of counting. It was truly a thrilling moment when the Secretary announced slowly but loudly “Fukuoka” in the last reading. 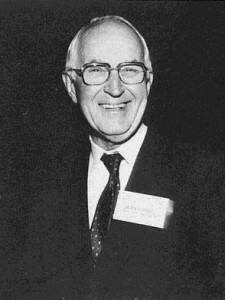 Dr. K. Nash was requested to continue his service as Secretary General.